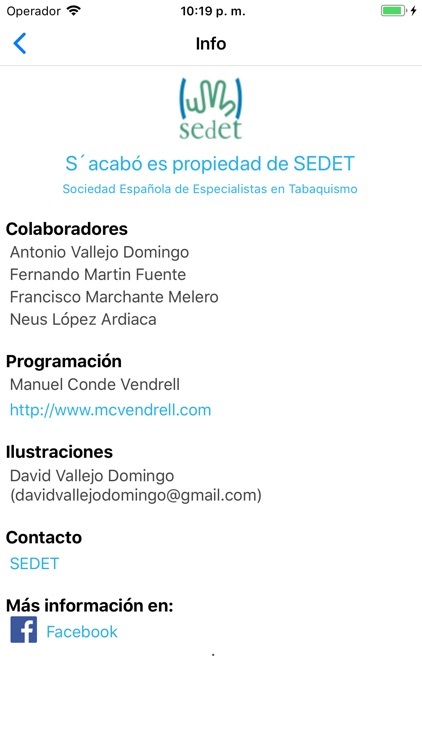 S'Acabó is an application to quit smoking of the Sociedad Española de Especialistas en Tabaquismo (SEDET). 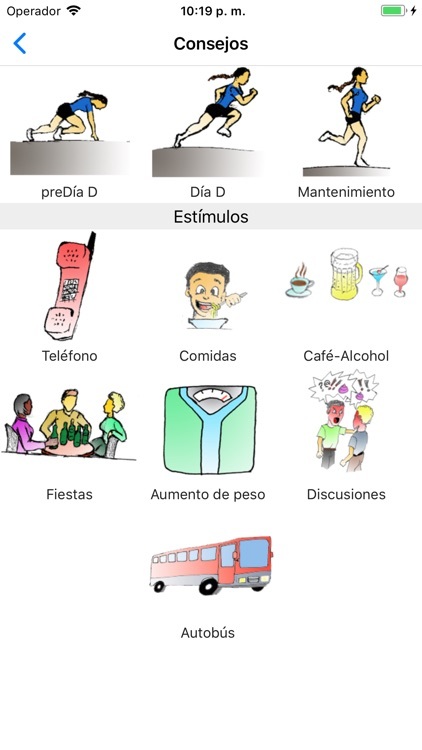 Through different menus you will find tips and help to cope with the first few weeks without smoking. 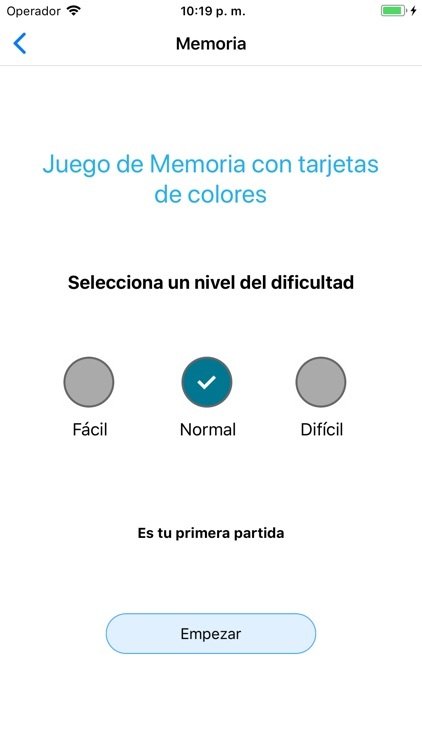 Habits: Enter this menu and create a list of everything that invites you to smoke and then, from D-Day, avoid it or, if not possible, enter in tips to find ways to overcome the urge to light a cigarette when exposed to the same situation. 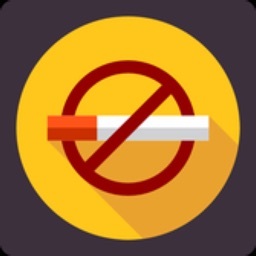 Tips: You can find suggestions for the days before attempting to quit smoking, the first day without a cigarette (D day), the following days, as well as tips on what to do with the most common situations that encourage smoking. 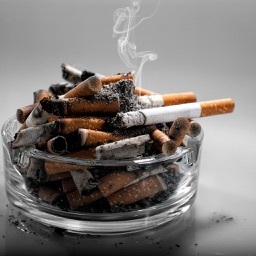 Self control: Find tips on what to do to avoid the urge to smoke when such situations occur. Withdrawal: Tips for dealing with the various hassles that you may have in the early stages of cessation of use of tobacco. Achievements: As the days go without smoking, this menu will alert you of the improvements in your health. 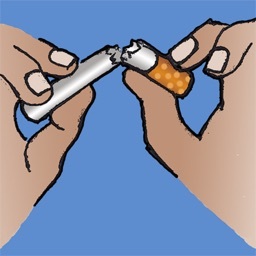 Savings: Calculate the money saved from not smoking. 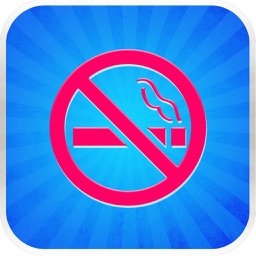 Time without smoking: Control the time you have without lighting up a cigarette. 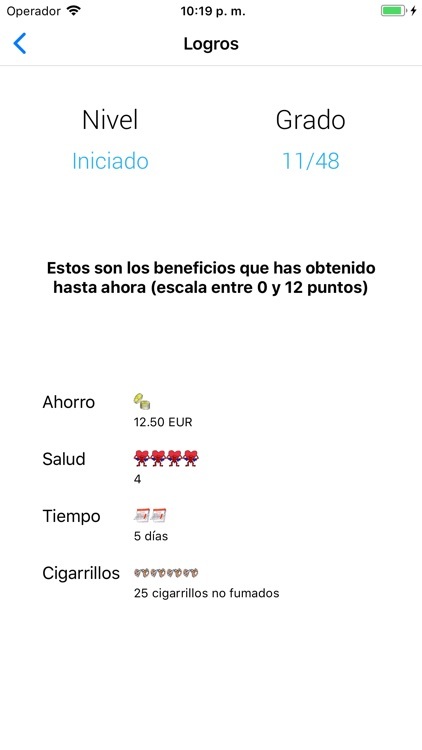 Reasons: In this menu you can save all the reasons why you want to quit smoking, and access it to remember your motives and to resist lighting up a cigarette when you fancy it. 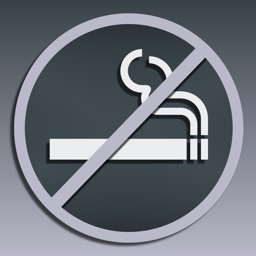 Benefits: Enter on this icon to create a list of all the improvements you perceive physically, psychologically or in your appearance since you are non smokers. Access to it when you feel like smoking and you need to remember the reasons to follow without lighting up a cigarette. 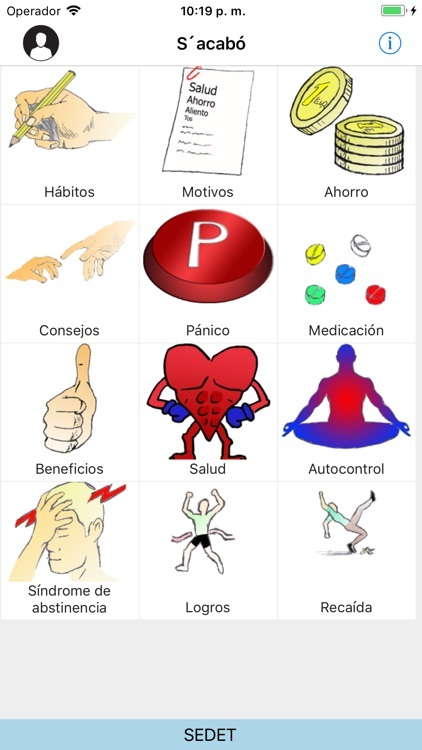 Medication: Explanation of current medication that helps stop smoking and instructions for use. 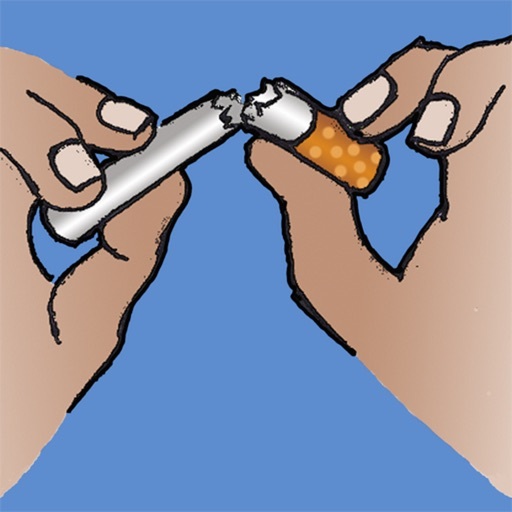 It has demonstrated its effectiveness to help people quit smoking, always accompanied by the advice and prescription of a health professional. 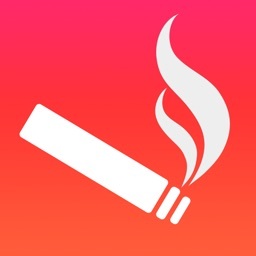 Relapses: If you smoke a cigarette or relapses and you go back to smoking, in this icon you will find tips on what to do.